Mark Branaman is currently the Central Indiana Tennis Association Adult League Committee Chair. However, his passion and service for tennis began many years ago. Mark was born and raised in Terre Haute, Indiana, and began playing tennis in the Vigo County Summer School Program. This launched his passion for tennis that landed him on the varsity team for Terre Haute Vigo South High School. Mark and his doubles partner were State Finalists their senior year. Tennis took a back seat during his years as a young adult, but in his early 40’s, Mark re-started his game and began playing in the USTA League program. He began captaining his own USTA League teams in 2004, and remains a solid player and supporter of USTA Adult League tennis. Mark became the Tennis Facility Coordinator for the Devon Country Club in 2010, and also served on Devon’s Board of Directors. Mark recently helped implement the Adult Tournament Series “Game, Set, Money,” which was a great success. 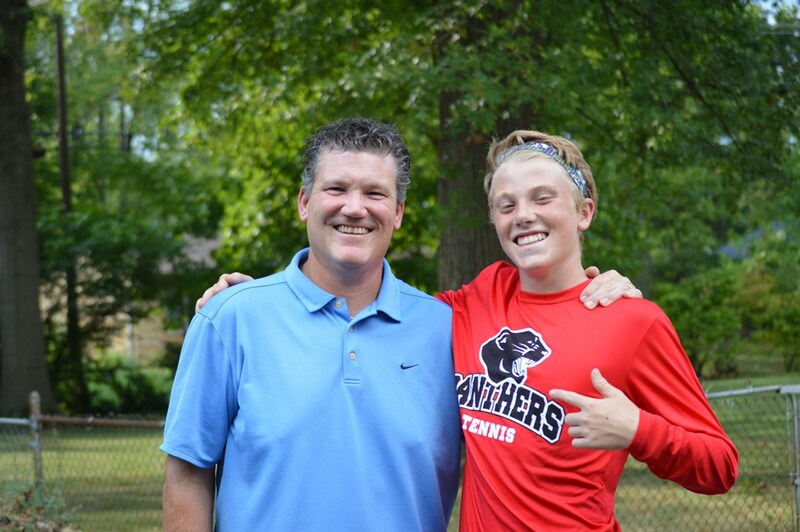 In addition to his support of USTA Adult Tennis, Mark devotes his time with assisting his son, Nathan, who is a freshman playing varsity on the North Central High School team. Mark and Nathan have spent many weekends at USTA Jr. Tournaments working towards his son’s goal of becoming a competitive junior player. The Central Indiana Tennis Association is very appreciative of the time and energy Mark has spent volunteering within our District. We are proud to honor him with this volunteer honor.